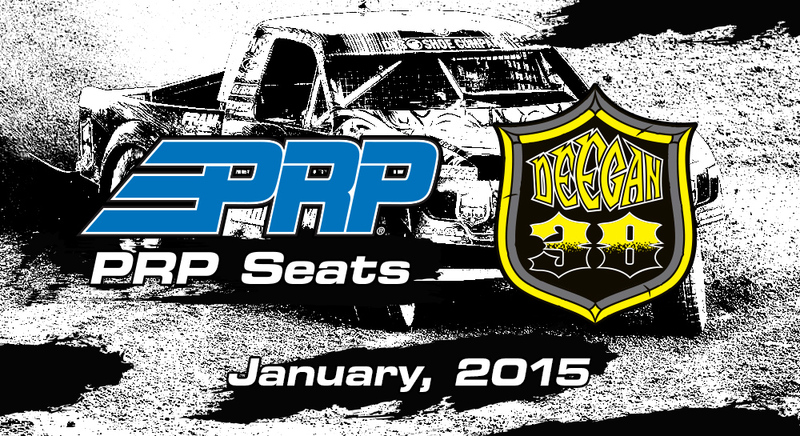 Temecula, CA (November 17, 2014) – PRP Seats, one of the top companies in the off-road seat and accessory industry, is excited to announce a partnership with 6-time Lucas Oil Off Road Championship winner and 16-time X-Games medalist Brian Deegan. Starting immediately, PRP Seats and Deegan will work jointly to develop a collection of branded seats and products with a planned initial release of January 2015. These products will be designed with Brian Deegan himself, bringing his signature personality and style to PRP’s line of American made suspension seating. Motocross legend, 2014 LOORRS Pro 2 Champion and six time overall LOORRS series Champion, and 2013 DirtSport’s Driver of the Year, Brian “The General” Deegan is one of the most decorated action sport athletes to date. He is the only rider to compete in at least one event each year since the X Games’ inception, including his Gold Medal run in X Games 17 RallyCross. His 2013 accomplishments include a top five finish in the GRC series, LOORRS Pro Lite Champion and he continues to test the limits in numerous racing categories including Freestyle Motocross, Pro 2 and Pro Lite Short Course, Rallycross, Frozen Rush, and Monster Jam. Deegan is powered by Rockstar Energy Drink, Ford Motor Company, Mickey Thompson Performance Tires & Wheels, Makita Industrial Power Tools, DVS Shoe Co., Deegan 38, ODYSSEY® Battery, Gibson Exhaust Systems, 4 Wheel Parts, KC HILites, Alpinestars, Fathead, Feld, PPG, Brembo, Fortin, VP Racing Fuels, Fox Shocks, MSD Ignitions, FK Rod Ends, Eibach Springs, McKenzies, Fiberwerx, JE Pistons, QTM, Roush Yates Engines, G2, Dailey Engineering, Brown & Miller Racing Solutions, ARP and AZ Driveshafts. For more information, visit www.briandeegan.com, Follow on Twitter at www.Twitter.com/MMGeneral, Instagram @BrianDeegan38, or visit on Facebook at www.Facebook.com/mmdeegan. PRP Seats has been manufacturing custom off-road suspension seats in the United States for 18 years. A classic garage business turned industry leader, PRP was the first suspension seat to be factory installed in a UTV (Polaris XP 900 H.O. Jagged X Edition) and is widely known to make “the most comfortable seats on the market” (UTVunderground.com). PRP also manufactures and distributes a wide selection of off-road and UTV accessories such as harnesses, bags, and UTV doors. To read more about PRP Seats and see a current selection of products, please visit www.PRPseats.com or follow on Facebook atwww.Facebook.com/PRPseats, Twitter at www.twitter.com/prpseats, or Instagramwww.instagram.com/prpseats.